Many years at EA before founding Relentless, which worked closely with Sony to create the Buzz franchise. 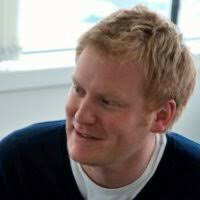 After some misadventures in Kinect with Microsoft he set up Delinquent in Brighton, which was sold to MAG Interactive (Ruzzle, WordBrain) in 2015. He now works with the production and marketing teams at MAG to foster new game ideas and scale games to millions. David went from years of running console studios to building and then selling a mobile free-to-play company. Now part of the mighty MAG Interactive, he's gone from knowing next-to-nothing about mobile F2P games to hundreds of millions of installs in the space four years. David gives an overview what he's learned in a way that anyone can understand and talks about best practice in current and future games. I really like Develop, I really like the intimacy of it and I love the location.. there’s a good diversity of talks going on so there hasn’t been a time when there’s nothing I want to see. There’s really something for everyone at Develop and the experience of being around like-minded people is really useful.